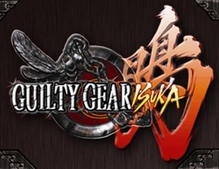 Guilty Gear Isuka (as well as Guilty Gear X2 #Reload) was delisted on Steam on August 1st, 2016. A brief advanced notice was posted by publisher KISS ltd’s James Deputy on July 27th urging players to pick up the game before the August 1st deadline. According to Deputy the games were removed “due to the distribution rights reverting to the developer.” He added that the delisting is “hopefully temporary” but didn’t give any indication if KISS was seeking to renew the license with Arc System Works. Beat-Em-Up Action – Isuka goes from fighter to brawler when you dive into GG Boost Mode. Punch/kick/cut/grapple your way through waves of formidable opponents, and feel free to invite a friend to help; two-player co-op can give you that extra edge you need. Make an Abomination – Newcomer Robo-Ky Mk. II can be retrofitted with the moves of other characters, making him the ultimate doppelganger. Brutal command grabs, a projectile or two, almost nothing is verboten when it comes to the murderous art of imitation. Beautiful Characters and Environments – From the tiniest bounty hunter to the largest brute, from sunny beaches to moonlit cemetaries, Guilty Gear Isuka’s sprite art oozes character. Jaw-Dropping Heavy Metal Soundtrack – From the mind and frets of Guilty Gear creator Daisuke Ishiwatari comes some of the most intense rock you’ll ever roman cancel to.Buyers of Guilty Gear Isuka on Steam will receive a digital copy of the Official Soundtrack for free!